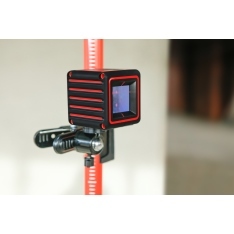 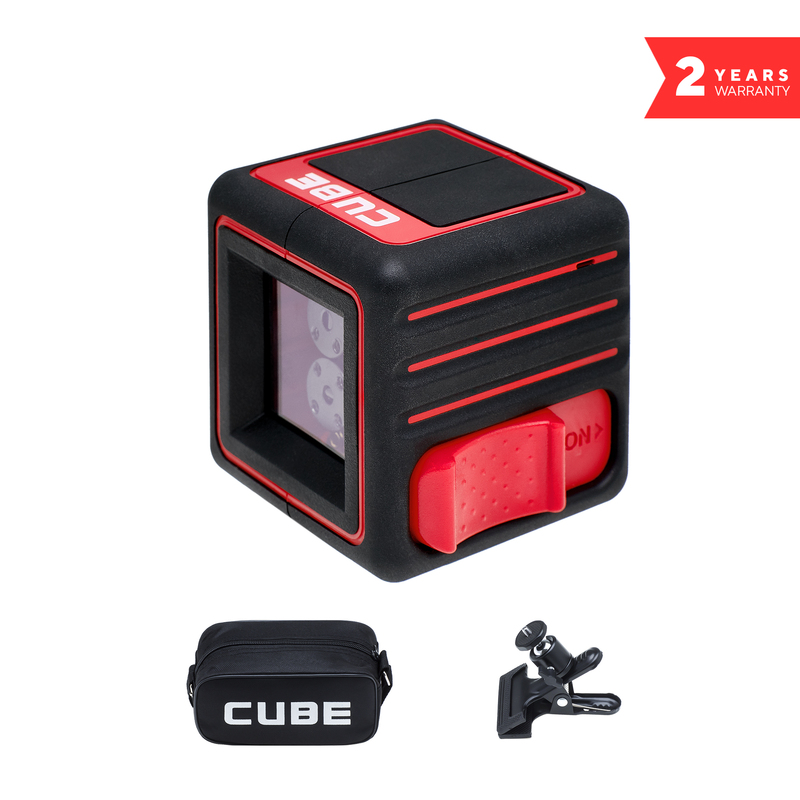 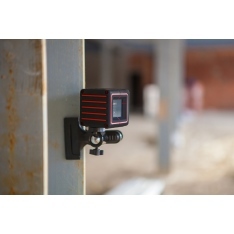 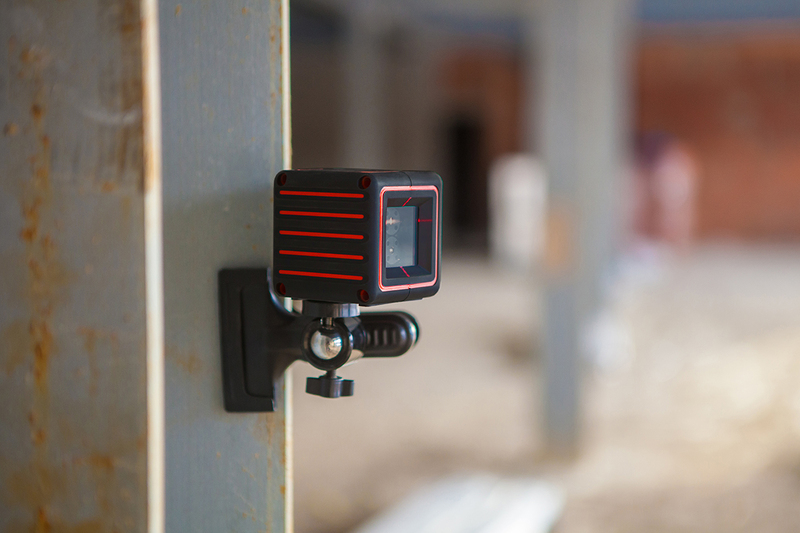 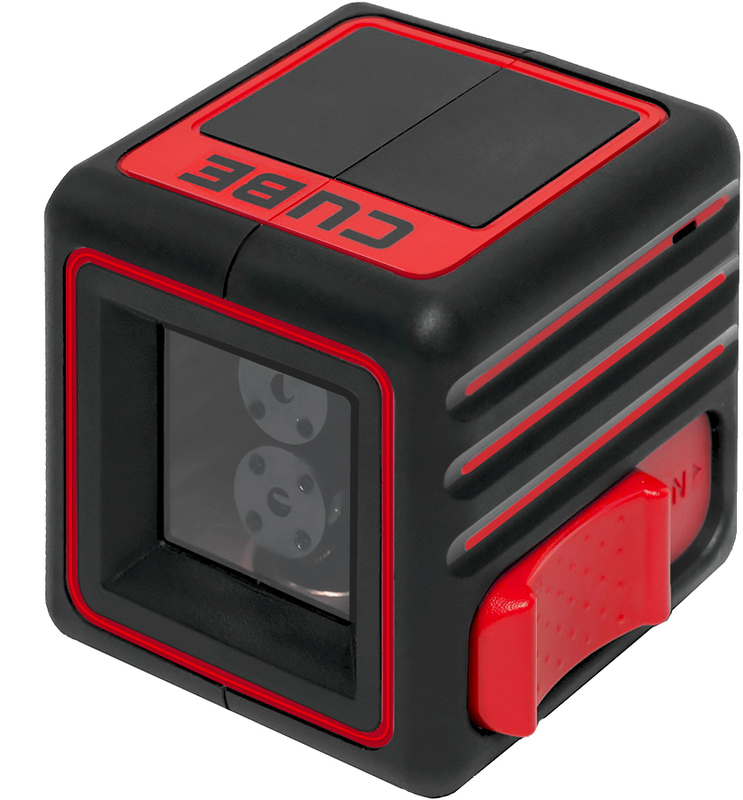 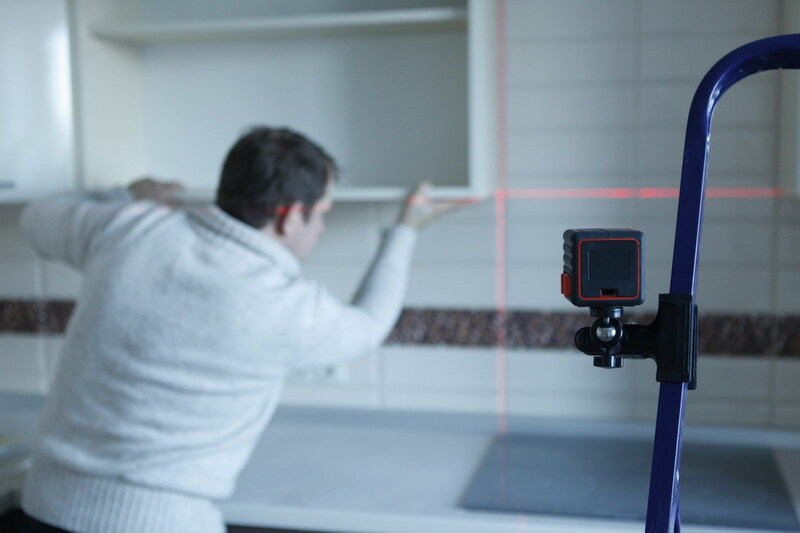 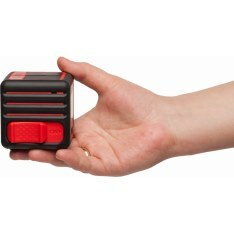 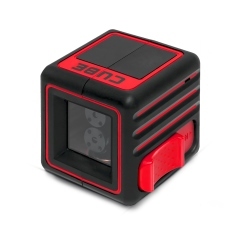 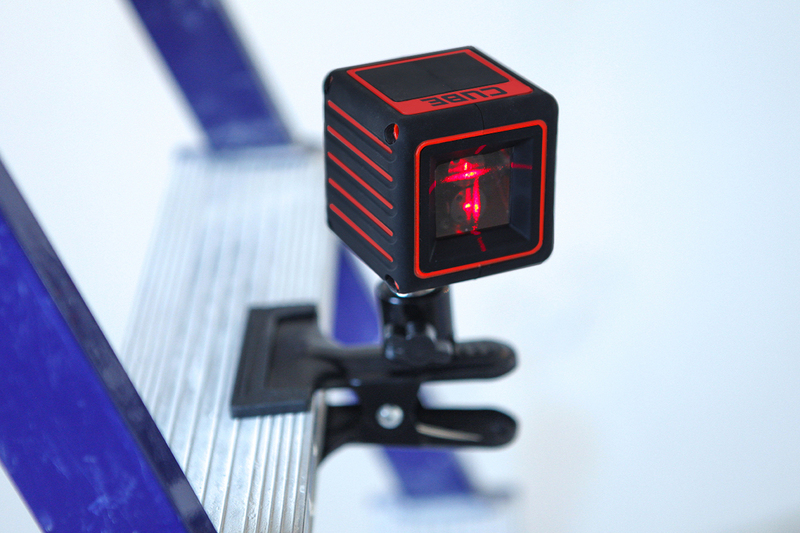 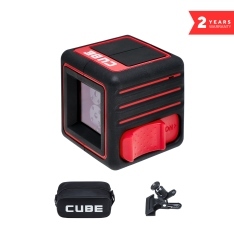 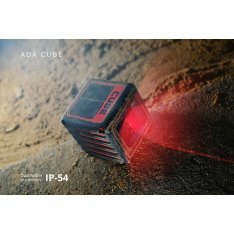 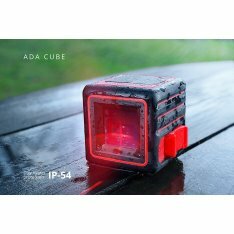 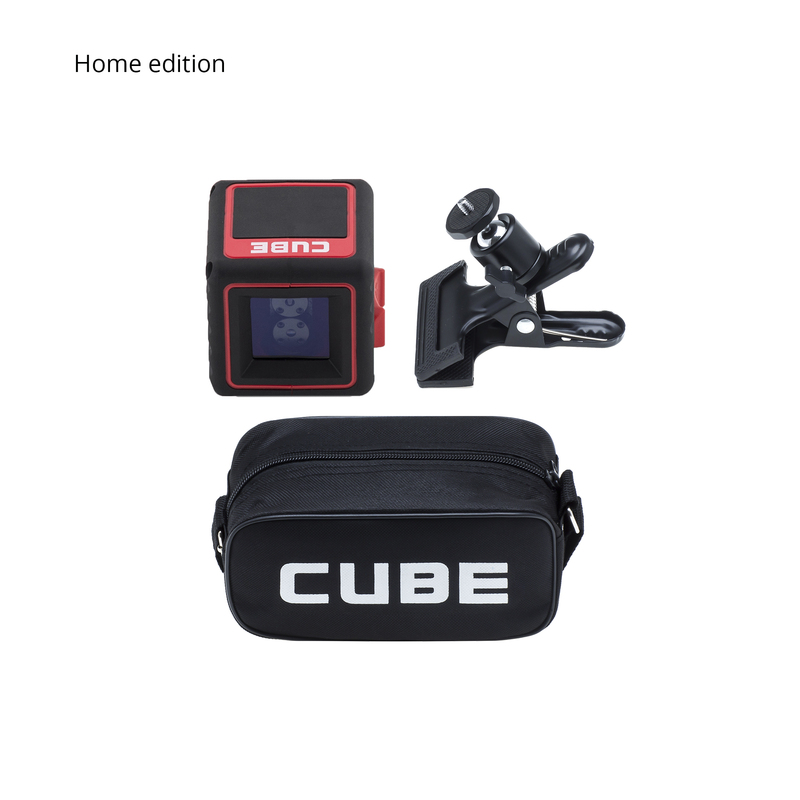 ADA Cube is the most compact laser level. 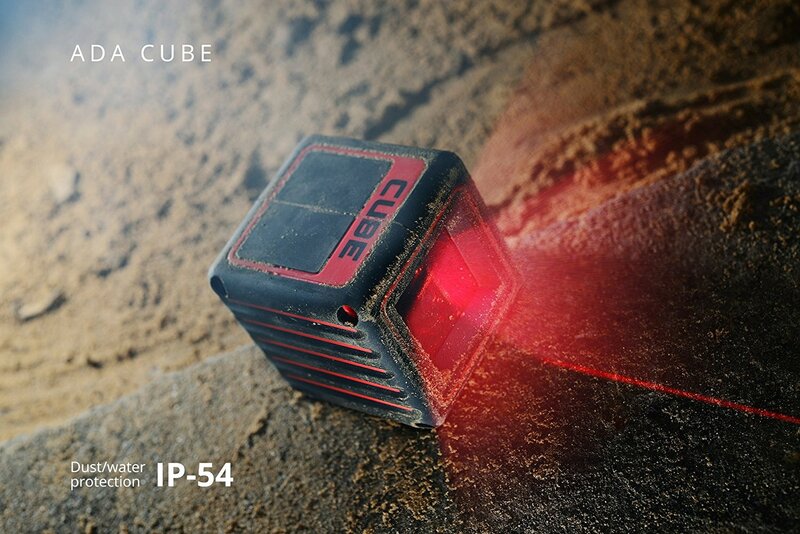 It projects perpendicular laser beams in the form of a cross. 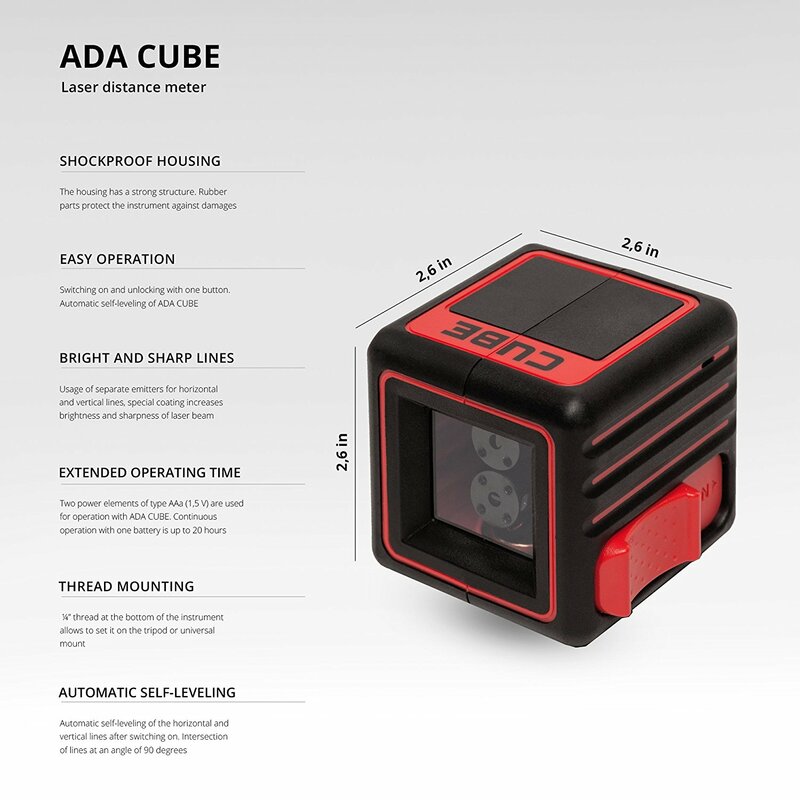 With the help of ADA Cube you can do any work with marking: to hang a shelf or picture on the wall, to hang wallpapers, to place conduit for electric wiring, to set guides for suspended ceiling and so on. 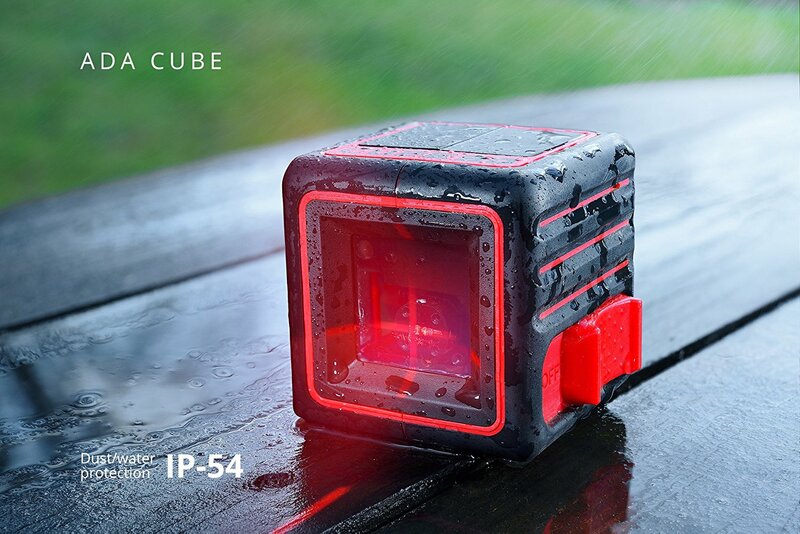 The housing is made in the form of cube. 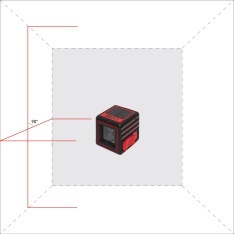 The size of edge is only 6.5 cm. 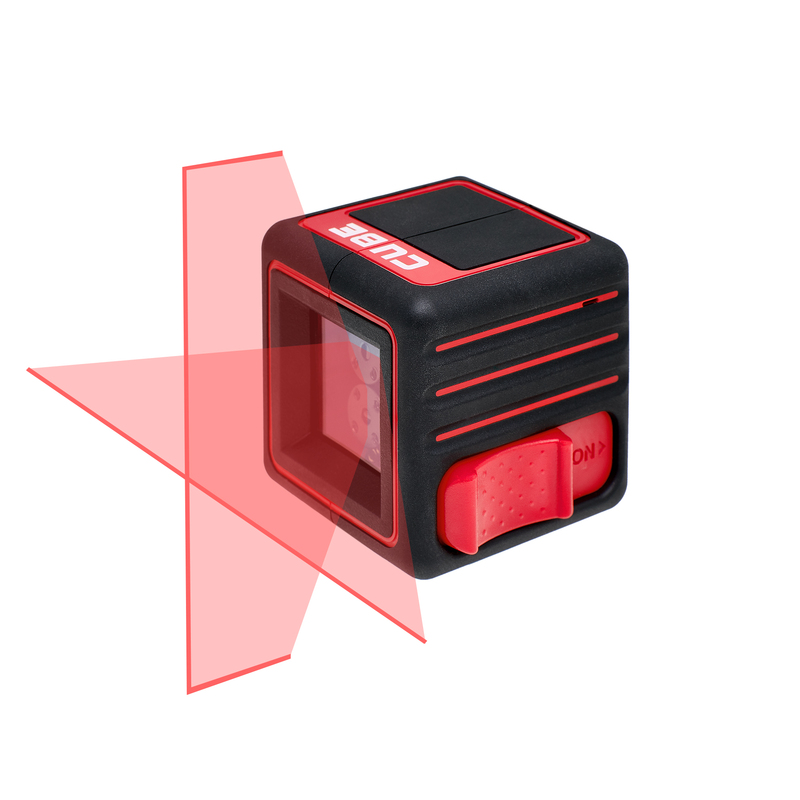 Rubber parts protect instrument from damages. 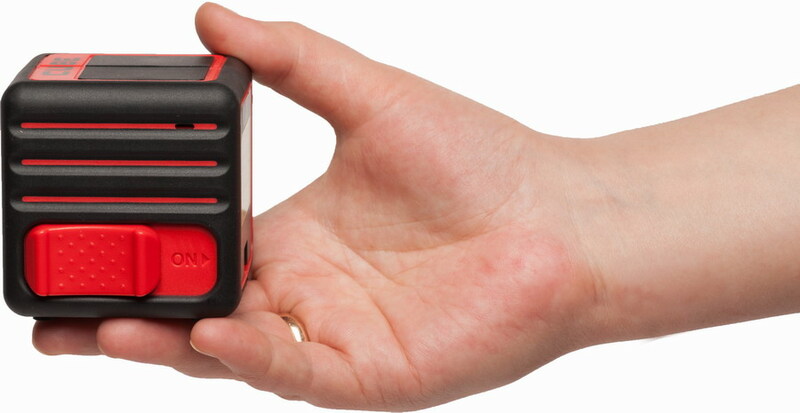 Due to the ribbed surface the instrument doesn’t slip out from your hands. 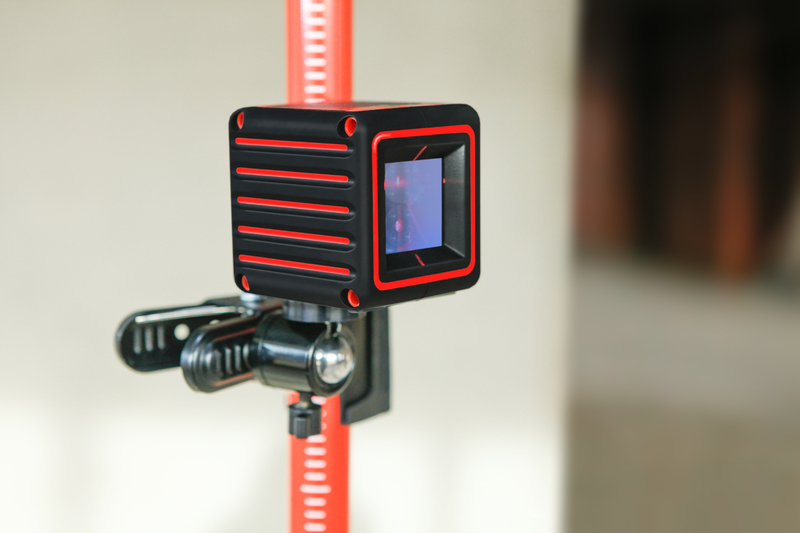 Thread 1/4" on the bottom of the instrument allows to set it on the tripod or universal mount. 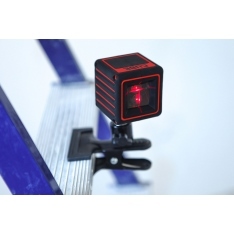 Switching on and unblocking with one button. 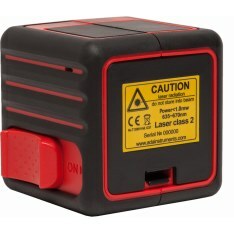 Separate laser emitters are used to project laser lines. 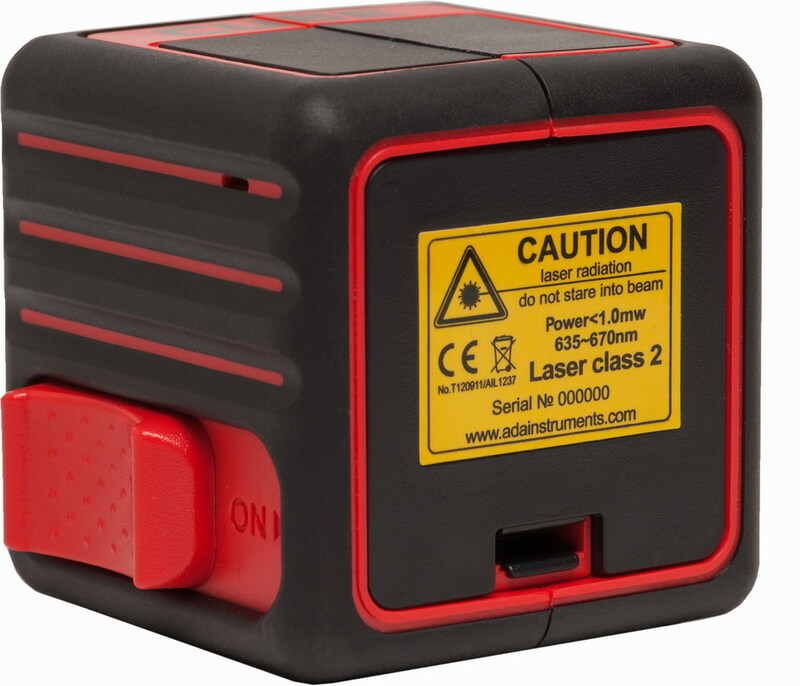 It allows to get clear and bright laser lines. 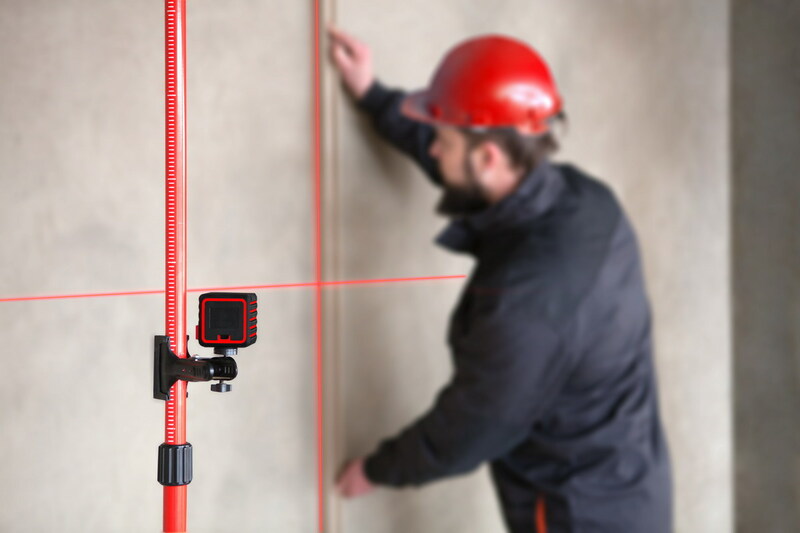 Pendulum suspension goes fast into vertical position. 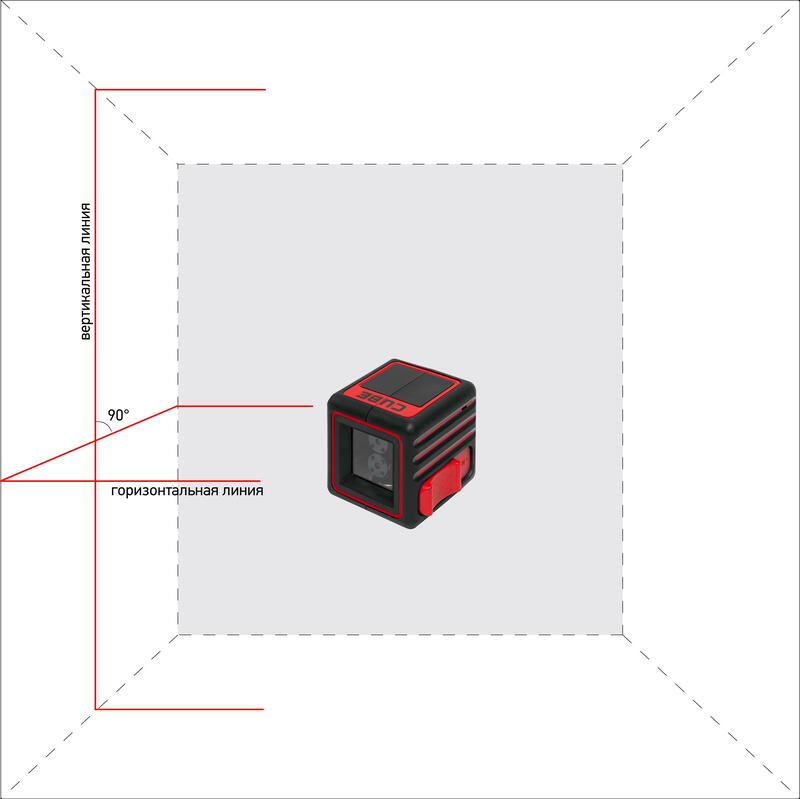 Maximum deviation from vertical axis is 3°. 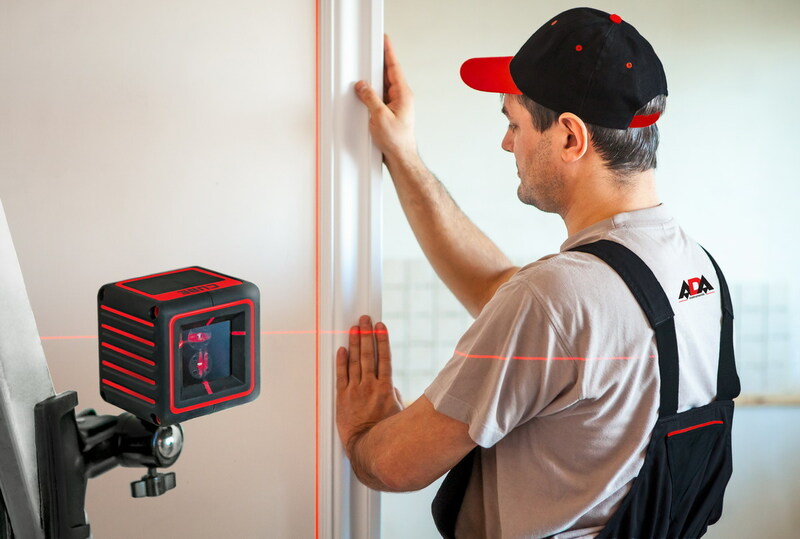 Acoustic alarm is given when the instrument is out of self-leveling range. 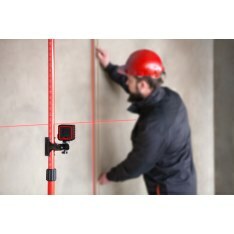 The instrument can come with universal mount (for complete set HOME) or elevating tripod (for complete set PROFESSIONAL). 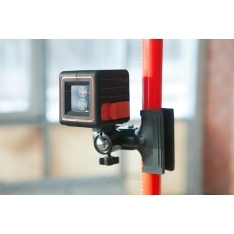 Universal mount is made in the form of reliable steel clamp with rotary screw for surface attachment at any angle. 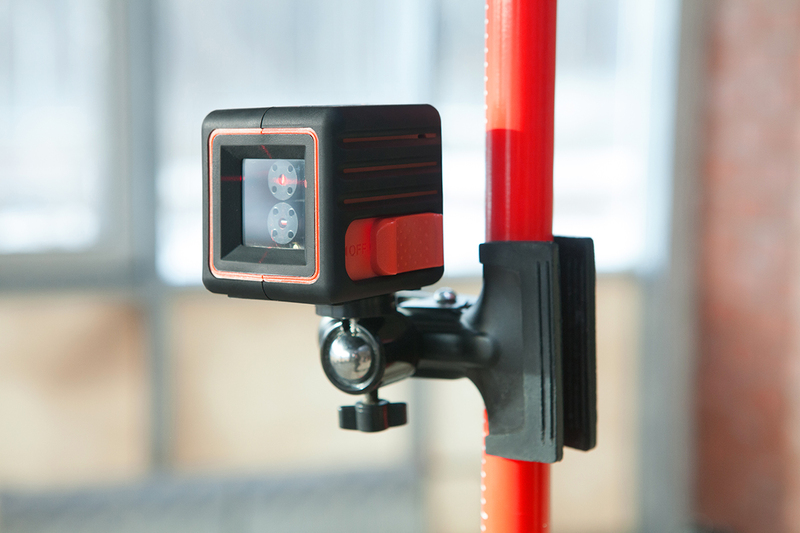 Clamps of universal mount have soft cover. That’s why they don’t leave any traces on the surface.